Below are several items that all relate to firefighter fitness, whether you are attempting to join the fire and rescue service or simply wanting to get into shape and stay that way. If anyone feels we could add further products, please let us know and we will source the best deal and list them all accordingly. 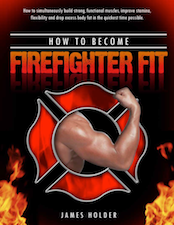 Rated as one of the best fitness books on the market, aimed not just at firefighters, but anyone who wants to train in a way that brings results people want. A must if you are looking for the best way to get yourself in shape, and fit enough to undertake the firefighter physical tests. Many people do not have time, however with a bit of time and dedication, it can be done. The bleep test, also known as the beep test, multi-stage fitness test, or the shuttle run test, is used by sports coaches to improve an athlete’s performance and VO2 maximum intake. The bleep test has also been in use for many years now by the Fire Service and the Police Force when assessing potential candidates for jobs. 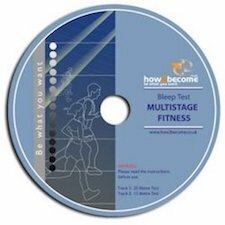 The ‘Chester Step Test’ is an awesome and powerful way to both assess a person’s current fitness levels and also a great way to improve your own personal fitness. Many Public Sector services including the fire and rescue service now use the ‘Chester Step Test’ as a way to assess people during a selection processes. Many people attempting to join the fire and rescue service struggle on many parts of the physical tests. 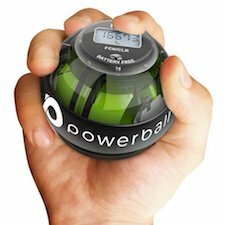 One of the main tests that people seem to fail at, is the strength and grip test. Firefighters need good grip to be able to handle the equipment and also carry heavy items such as ladders etc. We have looked at many pieces of equipment that assist is building this strength, but this kit contains them all and is very popular.